In designing a programme for promoting pollinators it seemed logical to call it the Bring Back Bees programme. For one thing such a name opens the door for our marketing department to use as many bee related puns as they can dredge up from their hive mind. More importantly, the Bring Back Bees programme is designed to bring attention to the current plight of bees and to make An Óige hostels a haven for these threatened species. 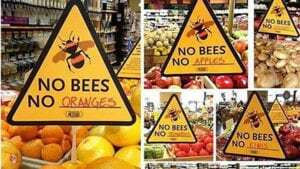 So why bees? Unless you’ve spent the last few years under a rock (or in loose soil, which some solitary bees enjoy) then you’ll know bee populations have suffered massive declines. The cynical among you might sneer and say “So what? They’re only insects!”. The latter part is quite correct, bees are insects, so you get a little gold star. It’s the “So what?” part that is bothersome. There are more bees than any other type of pollinating insects, which makes the humble bee the world’s most important pollinator of food crops. You like food right? Well bees pollinate about one third of the food we eat. This includes the fruit and vegetables we eat but also the crops we grow to feed our livestock. Small children may be delighted with the potential loss of broccoli from their plates but the vast majority of people can clearly see bees are as vital to humanity as broccoli is for a growing child. 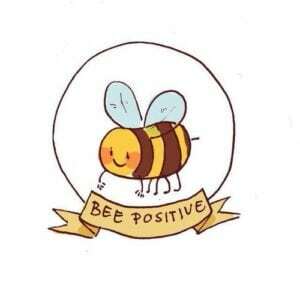 So bees are really important. Ridiculously so in fact! Why, then, are their populations in such decline? Unfortunately, there is no one answer so let’s take a look at the biggest concerns. Like many species, bees have suffered from human expansion. As their natural habitats are built over, split up by roads or reduced in size, bee species face their own homelessness crisis. Bees also suffer from a lack of diversity in food. Human farming practices have changed to include large quantities of fertilizer and a reliance on monocultures (growing one particular crop exclusively). 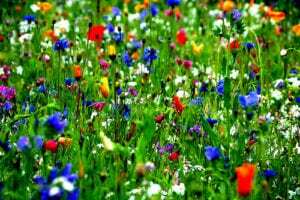 Combining this with the manicured perfection of road side ditches, parks, gardens and field margins has reduced the amount of wildflowers which are a vital source of food for bees. As our population grows, so too does the demand for food. This has led to an increase in the use of insecticides, herbicides and fungicides which are used to maximise the yield of crop species. In a bitterly ironic twist, all three of these can have negative effects on bees, essentially poisoning them or reducing their food sources further. Sounds bad, right? Thankfully we’re all in a position where we can promote pollinator populations by making some simple changes or additions to how we interact with pollinators. As a result, An Óige will be doing just that as we roll out our Bring Back Bees programme. The first, and simplest, step was to become part of the All-Ireland Pollinator Plan as a Business Supporter. This is a nationwide plan to support pollinators all over Ireland by encouraging businesses and individuals to create an Ireland where pollinators can survive and thrive. The second step is to give the bees some place to live. Not all bees live in hives, in fact about 95% of all bee species are solitary bees. These bees will nest in tiny spaces from hollow plants to holes in deadwood. Some will even nest underground, burrowing into loose soil. An Óige works extremely hard to cater to all its guests so we have decided to add companion Bee Hostels to our own hostel. These Bee Hostel are very simple to make from bamboo and recycled plastic bottles. These Bee Hostel can be put in place seasonally but we’re expecting year round bee guests! 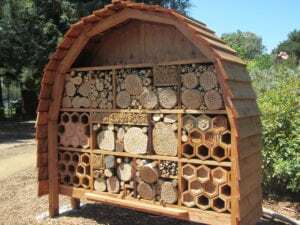 Over the summer months our volunteers and staff will build and install Bee Hostels, ready to welcome bees for the cold autumn and winter seasons. You can always make your own ones, like these fancy examples! While our bee guests do need a place to sleep, they’ll also need a sustainable food source. This is why An Óige staff will be identifying areas at our hostels where new pollinator friendly flower beds can be planted. These flower beds will comprise of native wildflowers, the preferred dish of pollinating bees. These wildflower meadows will not only look fantastic and provide meals for the bees, they’ll also provide guests with a valuable resource in learning about Ireland’s native wildflower species. 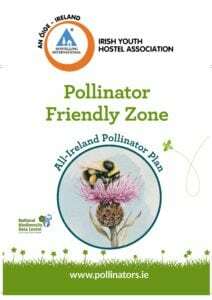 In a further effort to protect our pollinator friends, An Óige will be identifying areas that already suit pollinators around our hostels. An Óige will take steps to protect these areas, notifying guests that these areas are protected and fencing off them off. These areas can be made even more suitable by creating earth banks along their edges. This freshly turned soil is loose and solitary bees can easily burrow into the soil. So they’ve got food and a bed in one spot, just like our two legged guests! The steps An Óige are taking to be part of the All-Ireland Pollinator Plan are simple. That’s kinda the key! We make simple changes to support and encourage the growth of pollinator populations. And guests can take these simple changes home and use them in their own house, apartment or mansion. As more people become interested, or rightly concerned, about bees the more helpful hints we see online to promote pollinator populations. It doesn’t matter if you’re just starting your hostelling journey or a veteran hosteller, you’ll know the importance and beauty of the nature all around us. An Óige is pledged to preserve that nature for future generations and the Bring Back Bees programme will ensure An Óige does it’s part for our pollinator friends. Every time you stay at an An Óige hostel you too are contributing to that preservation! If you’d like to get involved in the programme please contact programmes@anoige.ie. Alternatively you can find out how to help in your own way by checking out Biodiversity Ireland’s website. Helping to save pollinators may seem daunting but if you’re ever in doubt, please remember a happy bumblebees blood type is bee positive! You should be too! If you want to stay in touch with all our sustainability projects just subscribe to our monthly newsletter.